Since his return from Europe, Will Genia has said that he is more motivated than never before to help the future of Australian Rugby. 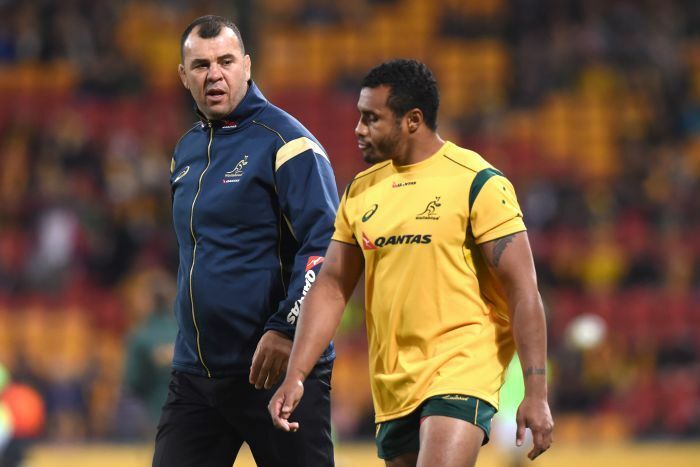 Genia, who noted that his period out of play helped extend his playing years, was on the training pitch with teammates as they trained on Tuesday in Brisbane in anticipation of their test against Italy on Saturday afternoon. The Wallabies halfback while back in familiar surrounds spoke of his desires to join the Reds in Super Rugby. “I’ve signed my release from StadeFrancais. I’ve got something in place with the ARU. I just have to have a club to go to,” Genia said. “Of course [I want to play for the Reds]. I’ve said that right from the start. That’s the plan. I’m just hoping it works out that way, because I don’t particularly want to play for anyone else.” he added. Genia also took out time to respond to the post made by Jack Quigley on Facebook after the Wallabies were thrashed by Scotland. He noted that the team as a group can make impact on the lives of people and it is their responsibility to perform and live up to expectations at all times. However, he also added that just like Quigley felt, they equally felt disappointed with the results of the game as they never go out onto the field with the intention to lose. The halfback also stated that on his side, he had enough motivation to continue and offer his best to the team. He also hopes that this Australian Rugby side can be the best ever if they all put in their best.